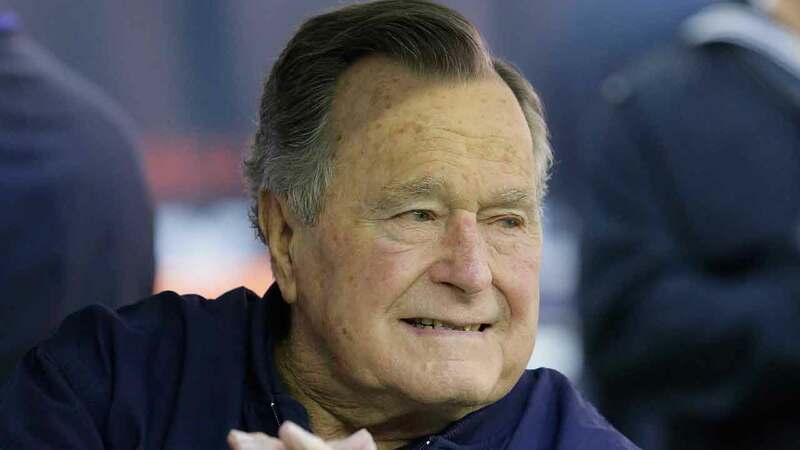 HOUSTON (KTRK) -- Family spokesperson Jim McGrath says former President George HW Bush is breathing on his own and watching inauguration coverage from the ICU at Houston Methodist Hospital. President Bush remains in stable condition, and he was extubated this morning, following a procedure earlier this week for pneumonia. He was struggling to breathe when he was admitted to the hospital Saturday. He remains in the ICU for observation, but he's breathing well on his own, with minimal supplemental oxygen. Barbara Bush, 91, was admitted Wednesday and diagnosed with bronchitis after feeling fatigued and coughing for weeks. She reported feeling "1,000 percent better" on Thursday. Mrs. Bush continues to feel better and is 'focusing on spending time with her husband.' She is expected to remain in the hospital over the weekend as a precaution. McGrath says former president Bush is watching inauguration coverage with Mrs. Bush, their son Neil and daughter-in-law Maria. President-elect Donald Trump and President Barack Obama have sent their well wishes, via Twitter and a news conference, respectively. Former President Bill Clinton also tweeted: "41 and Barbara - thinking about you both and sending wishes for a speedy recovery. Love, 42." Former President George W. Bush offered thanks on Instagram Thursday for messages "of love and support for Mother and Dad." "Your prayers are working: 41 and Mom are doing much better today and fighting on," he said in his first public comments about their illnesses. Bush said he and former first lady Laura Bush "look forward to representing them" at Trump's inauguration Friday in Washington "while they continue to recover in Houston." Even though he was hospitalized, the elder Bush's Twitter account was active Thursday, offering "hearty congrats" to former Houston Astros baseball player Jeff Bagwell on his election to the Baseball Hall of Fame. McGrath said while Bush did not physically type the tweet, he did approve it from his hospital room, calling the Astros' former slugging first baseman a "good friend and great player" and praising his election Wednesday to Cooperstown. Bush was a first baseman when he attended Yale, and was captain of the Yale team that played in the first College World Series in 1947. As president, he kept his first baseman's glove in his desk in the Oval Office, and he and his wife have frequently attended Astros games since leaving the White House. George Herbert Walker Bush, born June 12, 1924, in Milton, Massachusetts, also served as CIA director and Ronald Reagan's vice president.